Barely a year since the founder of Etian Comics, Beserat Debebe, brought us the first ever Ethiopian superhero comic, Jember, he’s back with yet another first. 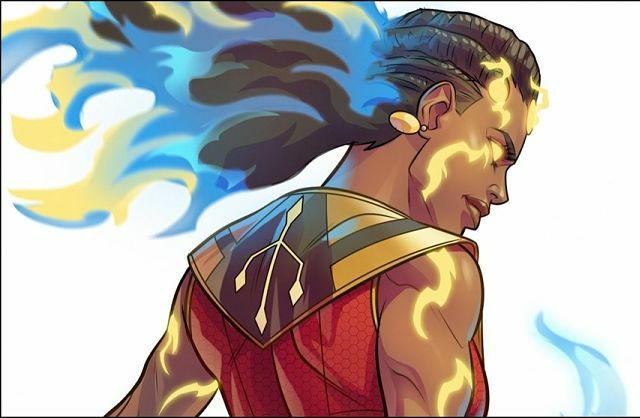 This time, his newest comic book Hawi centers a female superhero, a young Ethiopian woman named Ement Legesse, who is tasked with having to rescue her mother after she’s abducted. The colorful visuals are stunning and showcase Debebe’s talented team of African artists and their unique ability to capture the vibrancy of Ethiopia. A story about returning to one’s roots and having the courage to rise above the challenges that come with seeking reconciliation and belonging, it’s one we can all relate to whether literally or figuratively. Hawi follows the story of Ement Legesse, a young Ethiopian woman living in America with her mother. In the opening scenes of the comic book, it becomes apparent that Ement desperately wants to visit Ethiopia on a guided tour but her mother is against the idea. According to her, Ement can barely speak their native Ahmaric language and fears for her safety given that numerous young girls have been abducted in Ethiopia. It’s quite clear that Ement is frustrated by her mother’s refusal to allow her to visit her home country. As the story progresses, the two eventually visit Ethiopia together (yay!) only for Ement’s mother, however, to be abducted (oh no!). This is where the story really begins. Now we won’t tell you how Ement obtains her dope superhero abilities but what we can tell you is what inspires them.